I received a mysterious package from Midnight City yesterday containing nothing but a battered notebook filled to the brim with mysterious drawings, photographs, emails, and hand-written notes. It's one of the most impressive pieces of promotional material I've ever seen, particularly because it was very clearly assembled by hand. 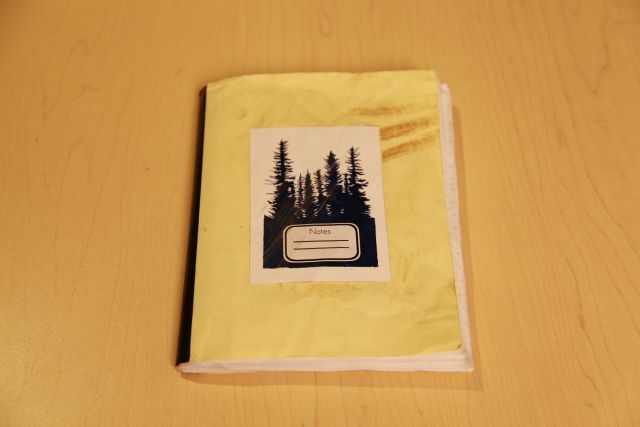 Instantly recognizable to fans of the Slender games as the pages you're looking to collect in The Arrival, this was too masterfully crafted not to share.